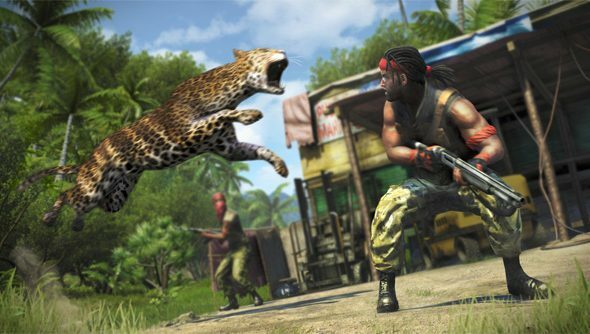 There’s nothing in the patch notes to suggest fiery doom should you fail to install Far Cry 3’s release day update, but Ubisoft are quite insistent that you do. The update should trigger automatically in Uplay, the Ubisoft’s PC client. Slightly disconcertingly, Ubisoft recommend restarting Uplay to try again “if your Far Cry 3 PC game crashes upon launch”. If it doesn’t trigger automatically you’ll need to download it manually and install it with your bare hands. I’ve included the patch notes in full below for your perusal. There are stability issues fixed in both singleplayer and multiplayer, but as I say – nothing too insta-death game-breaking. Fingers crossed and tied together by a mohawked mentalist for this one. Our Tim called it the year’s best PC shooter, after all. “Flare gun” kills are no longer considered as Assist kills.